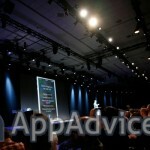 On stage at the Moscone Center, San Francisco, Apple unveiled the name of its forthcoming OS X 10.9 software update for Mac. 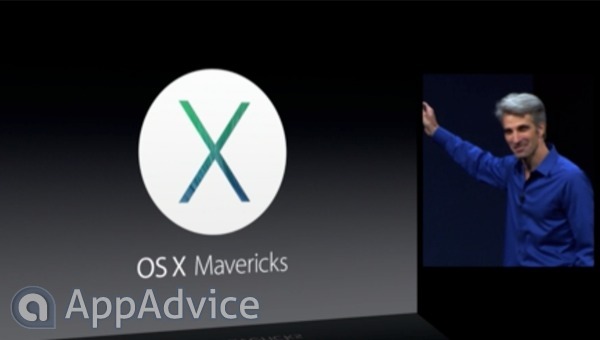 The first in Apple's all-new line of California-themed names for its OS X operating system is officially "Mavericks." Later today, we'll be investigating the relationship between Apple's forthcoming OS X and iOS software updates in an in-depth comparison piece, so be sure to check back with us. In the meantime, see: Maps And iBooks For OS X Are Coming But They Haven't Even Announced It Yet, Anki Launches Real-Life Racing Game Compatible With iOS, and Apple Tweaks Full-Screen Mode For Mac Apps In OS X 10.9 .